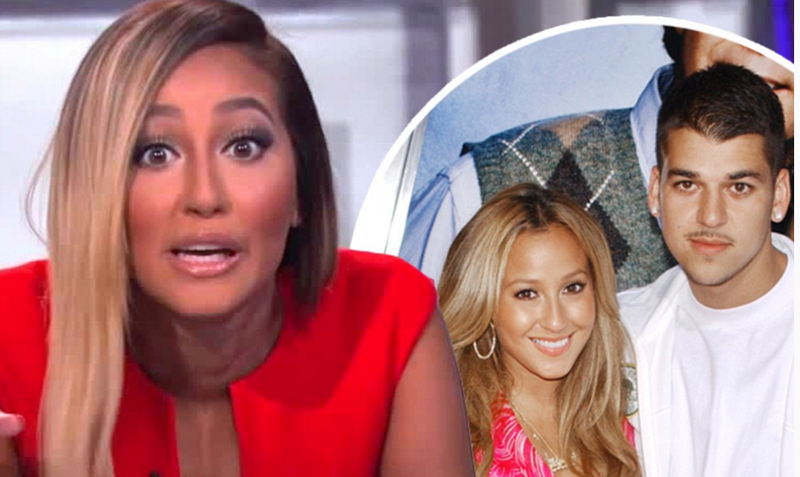 Kim Kardashian bff Jonathan Cheban encourages Adrienne Bailon to reach out to her troubled ex Rob Kardasian. Everyone is worried about Rob Kardashian these days — including his ex-girlfriend. At the 2014 Fresh Air Fund Gala in NYC on May 29, Rob's ex, Adrienne Bailon was alerted to just how serious things are with Kim, Khloe and Kourtney’s little brother. "Adrienne was sitting with Jonathan Cheban," an onlooker tells Us Weekly. "They were talking about Rob." The former Empire Girls: Julissa and Adrienne star, who split with Kardashian in 2009, listened intently to reality star and entrepreneur Cheban, the onlooker says. "Their conversation was intense and serious. Jonathan was telling Adrienne she should reach out to Rob. He seemed concerned for him," the onlooker continued. (Rob, 27, famously skipped Kim's wedding extravaganza last minute and has been behaving erratically via social media.) "Adrienne looked really sad -– she was shaking her head, as if she didn't know what to do or say about the whole thing." While the 30-year-old singer seemed worried, it’s unclear whether or not she'll reach out to her troubled ex. "It sounded like she hadn't made up her mind whether or not she wanted to reach out," the source says. Rob needs to move away from his family and out of LA.